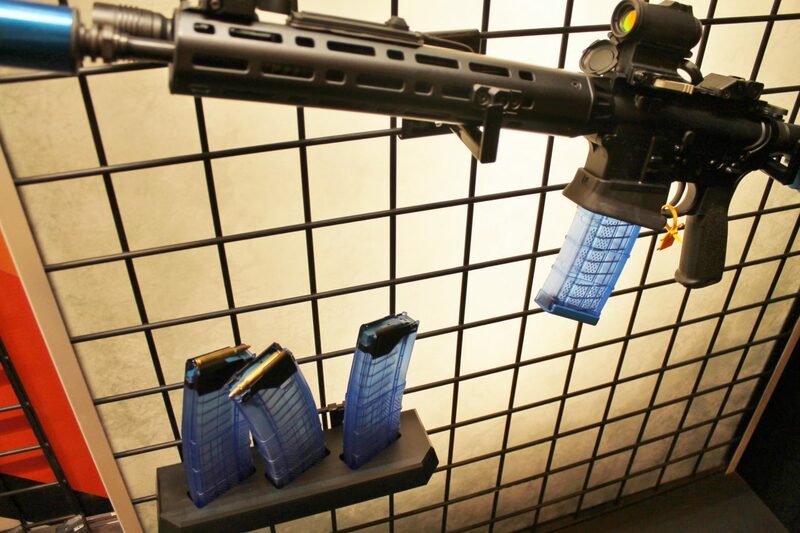 The new Lancer Systems Safety/training mags are something I’m quite a fan of. Built just like the L5 mags that are loved by so many but in a translucent blue plastic to mesh nicely with all those Blue simunition FX firing Glocks and other paint discharging firearms that are out there. 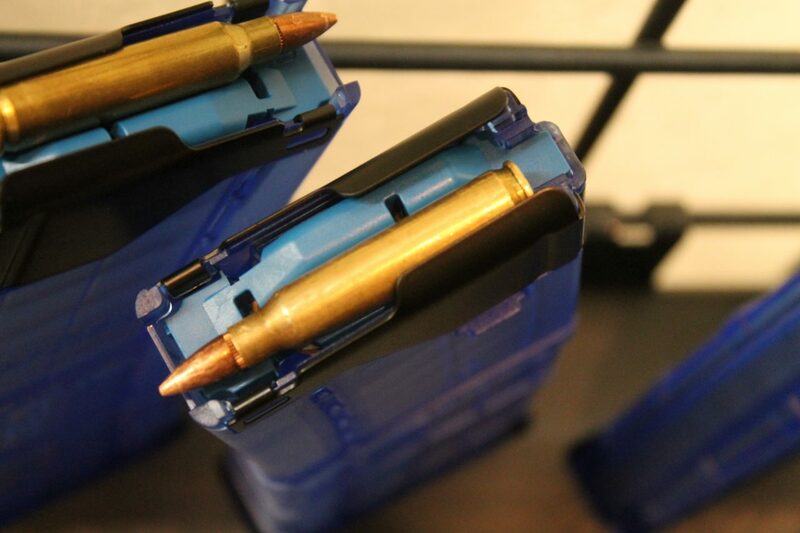 As you’ll note in the image, a standard ball round cannot physically fit in to the mag and though 1 round can sit on the top it won’t load in to a rifle that way. 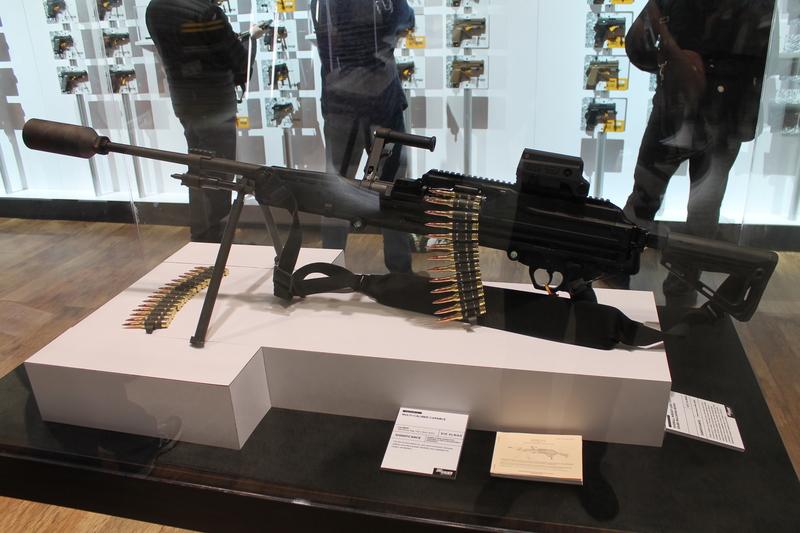 Definitely a less complex system than the classic old yellow HK blank mags that many of you who’ve served will be intimately familiar with. 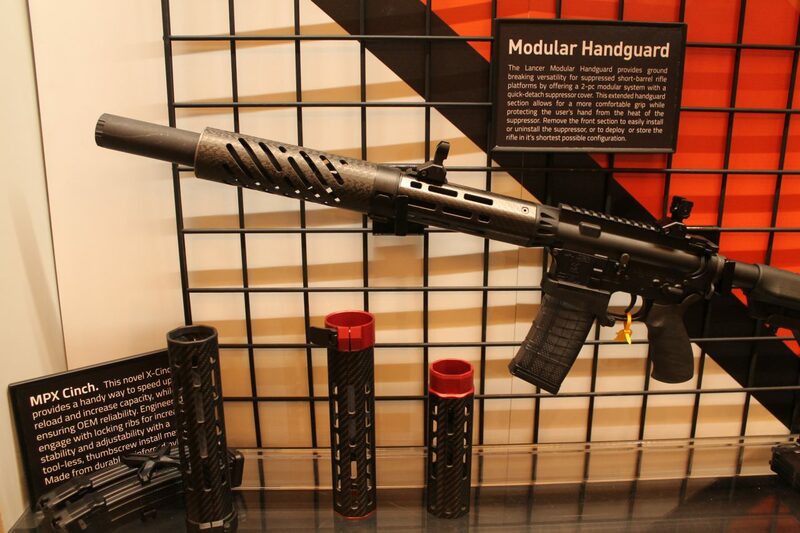 The new modular Handguard offering is aimed at those running suppressors nestled back within an AR forend. You can easily remove the forward portion of the handguard with the simple flick of a tension lever to mount/remove the muzzle device. 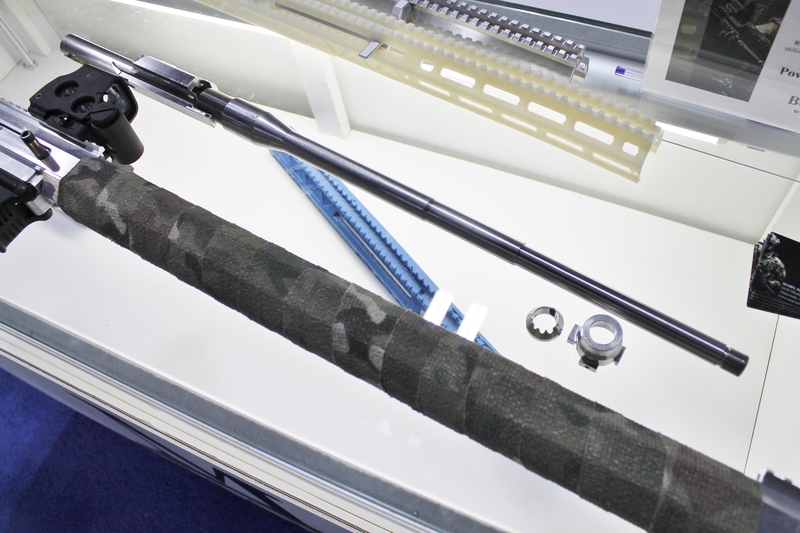 Being carbon fibre it’s not only a light system but most crucially it’s infinitely better at handling heat than aluminium, so the shooter can actually grip around or near the silencer now after more than a few rounds have been fired. These handguards will not be cheap admittedly, we’re talking probably $400+ here but they do offer a capability that’s unique within the marketplace and the lock up between the 2 halves is nigh on perfect. 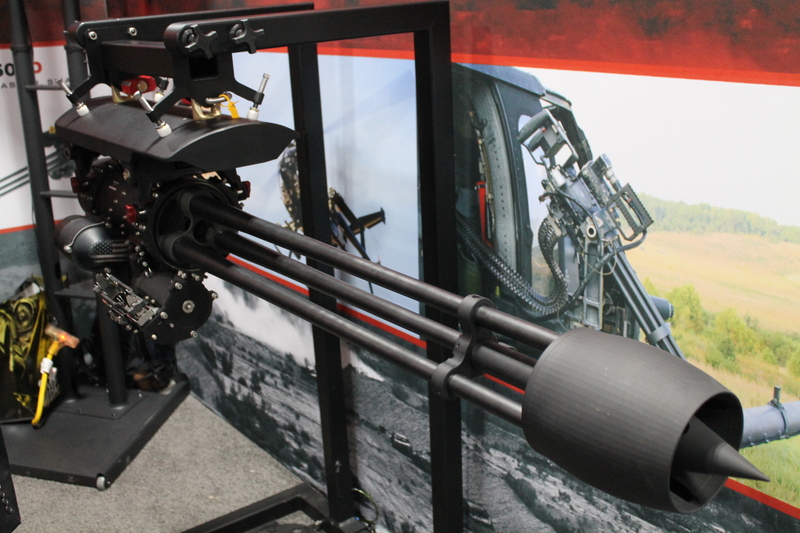 The Lancer L30 AIR is, as the signage says, very specifically designed to be fired from helicopters. 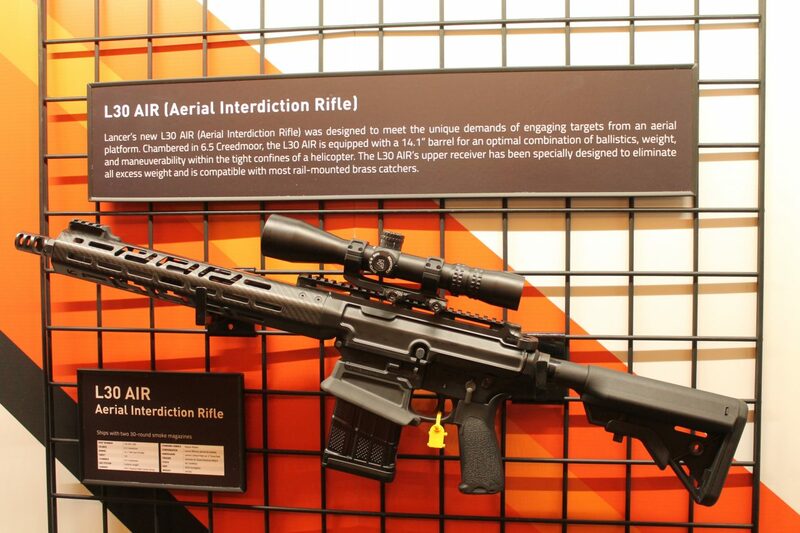 It’s a super light AR-10 type rifle based on the other 308/6.5 Creedmoor guns Lancer already offers but with an extremely short barrel for the calibre and a unique gas system, along with specific compatibility with brass catchers. Definitely something that’s extremely niche to police usage and not ideal for 99% of people but very cool to be sure.